Fall is a great time of the year. It’s always been my favorite season because of the fall colors, the cooler weather, and there are always events to enjoy. The vegetable garden is enjoys the cooler weather too. Gone now are the peppers and tomatoes, which both succumbed to frost, but instead we have kale, pak choi, mustard, and Brussels sprouts. All of those fall grown plantings enjoy the cooler temperatures and in fact have improved flavor due to the frosty temperatures. Growing greens in the fall in a Tennessee garden is a fairly simple thing to do. The greatest challenge to growing a fall garden is pests. Until the frosts come many insects are trying to gather as much nutrition as possible to help them overwinter. Caterpillars are all over the place. Cabbage loopers are happy to eat anything green, not just cabbage. The other challenge of a fall garden is simply getting it started early enough. Fall garden plants tend to need started in August or September when it is still very warm. I did a combination of direct sowing and indoor germination to get some of my fall vegetables to grow. 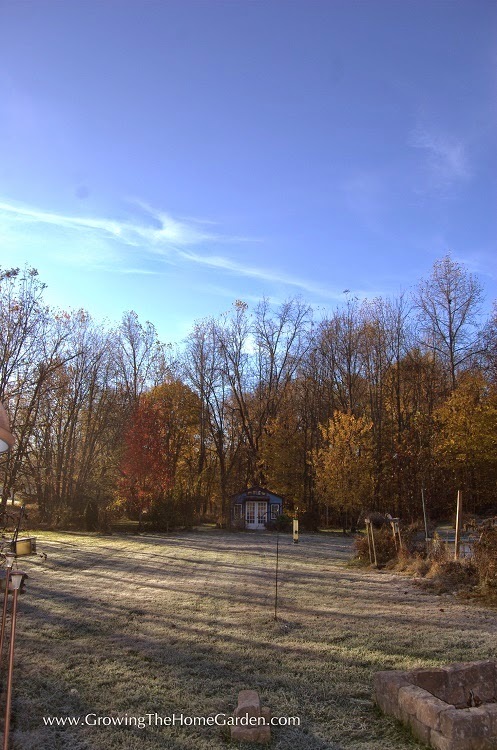 Once the frosts come the fall garden becomes almost magical. After the frosts the insect population is greatly reduced. 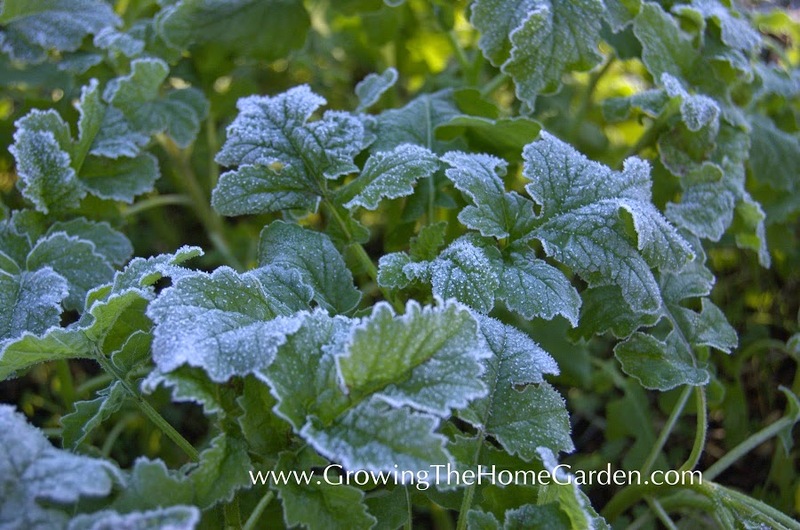 Frost tolerant plants continue to grow until it is just way to cold for them. You can extend their growing time by providing a little more protection through row covers once the temperatures get really cold. If you are lucky enough to have a greenhouse in your garden you can grow in there indefinitely. Frosts tend to improve the flavor of fall vegetables. Frosts increases the sugar production in the vegetables which maximizes their flavor. Eventually without enough warm the greens will slow down and stop growing. They become dormant and will resume growing when warmer weather comes along. Even if the garden isn’t actively growing, frost tolerant plants tend to make it through our mild Tennessee winters. Temperatures below 0 degrees F are rare here. Our snow falls are few and far between. When we do get snow it tends to disappear within the same day. have great flavor when grown in a fall garden. I was working in the garden yesterday and couldn’t stop myself from sampling the various greens in the garden. It doesn’t get fresher than that! I enjoyed the sweet flavor of the kale, the tangy taste of the mustard greens, and I even sampled a bit of the parsley. Did you know that parsley is packed full of nutrition? It has high amounts of Vitamins K and C along with a lot of other great nutrients. If you make smoothies, throw in some parsley – it’s not just something to dress up a fancy dinner plate. Parsley is great in salads and soups and can make it through our Tennessee winters just fine. Parsley is a biennial and will taste best from the first year until it sends up flowers in its second year. Go ahead and let it flower so it can self-sow new parsley plants in your garden. Plant parsley every year to ensure a consistent crop that tastes great! 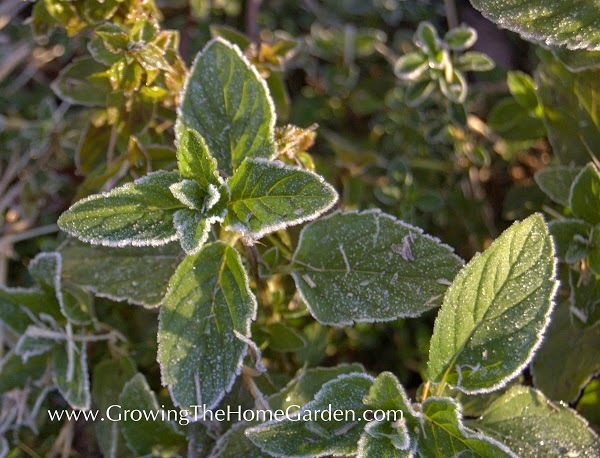 Spearmint with a light covering of frost. Fall gardening in Tennessee is a very special thing. I hope wherever you garden that your fall garden season is a least as enjoyable as mine!